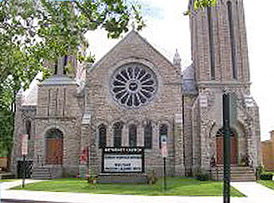 Rochester: Aldersgate Hispanic UMC is a New Faith Community. Rochester: Aldersgate African UMC is a New Faith Community. Mailing Address 4115 Dewey Ave.
LeRoy UMC has handicap accessibility.